Las Cruces, a town in New Mexico has a residency of 101,408, making it the largest city in both Doña Ana County and southern New Mexico. Known as “The City of Crosses,” this town consists of landmark crosses marking the graves of travelers and soldiers. As the seat of Doña Ana County, Las Cruces contributes significantly to the district’s economy, political and cultural hubs. Home of New Mexico State University (NMSU), New Mexico’s only land-grant university, this city has an undergraduate population of 12,027. Furthermore, a major employer includes the federal government on nearby White Sands Test Facility and White Sands Missile Range. 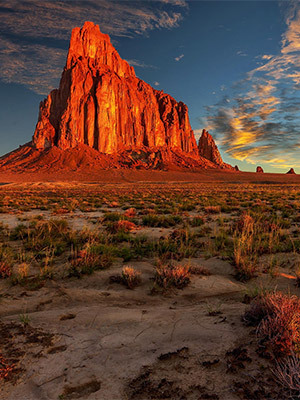 Ten miles to the east, sits the Organ Mountains, which is evident in the city’s landscape, along with the Doña Ana Mountains, Robledo Mountains, and Picacho Peak. If you live in Las Cruces and have fallen victim to substance abuse don’t hesitate to seek treatment. There are enormous resources in at your disposal. Although there are many wonderful elements to Las Cruces, like other areas in New Mexico, the “overall drug threat to the High Intensity Drug Trafficking Area (HIDTA) region has intensified” over the past years. According to the New Mexico Department of Health, “New Mexico’s drug overdose death rate has been one of the highest in the nation for most of the last two decades” (2018). From 2011 to 2014, Doña Ana County had a rate of 18 drug overdose deaths per 100,000 residents. Union County, in contrast, averaged 5 deaths per 100,000, while Rio Arriba County had the highest total drug overdose death rate (85.8 deaths per 100,000). Between 2010 and 2014, prescription drugs resulted in 53% of drug overdose deaths in New Mexico, while illicit drugs accounted for 33%, and 14% involved both types. Data from Medical Examiner shows the most common drugs causing unintentional overdose death “for the period were prescription opioids e.g., methadone, oxycodone, morphine (48%), heroin (34%), tranquilizers/muscle relaxants (23%), cocaine (17%), methamphetamine (16%) and antidepressants (12%) (not mutually exclusive)”. Doña Ana County had a rate of 39.7 alcohol-related fatalities per 100,000 people from 2000 to 2016 (the New Mexico Department of Health), while Rio Arriba and McKinley counties had the highest rates of alcohol-related death (144.1 and 145 per 100,000). Statewide, New Mexico’s total alcohol-related death rate has ranked first, second, or third in the US since 1981, as reported by the New Mexico Department of Health. For the period 1997 through 2010, New Mexico ranked first. Among death, alcohol abuse within the state has attributed to unemployment, crime, poverty, domestic violence, along with, chronic liver disease, vehicle crashes and injuries, mental illness and brain damage, and a number of other consequences. Alcohol causes one in ten deaths among working age adults (20 to 64 years old) nationwide; For New Mexico, this ratio is one in six. The New Mexico Department of Transportation (NMDOT) reports that, “After coming down each year since 2010, alcohol-impaired driving fatalities increased in 2014 by 20 percent from 2012 figures” in New Mexico. As the NMDOT suggests, the rise in alcohol-impaired driving fatalities in 2014, may be linked to the lower gas prices and higher vehicle miles driven that year. In 2015, arrests for driving while intoxicated (DWIs) came to 1,532 (resulting from 386 sobriety checkpoints and 3,104 saturation patrols). In 2016, Doña Ana County had 174 alcohol-involved crashes—a slight decline from 195 incidences in 2015. However, compared to other counties, such as Eddy with 51 DWI crashes, and Grant with 31, Doña Ana made up a large portion of alcohol-involved crashes in New Mexico. This district accounted for 8.4% of all alcohol-related crashes in 2016. Comparatively, Eddy totaled 2.5%, and Grant made up 1.5%. Though overall, Bernalillo County had the highest number of alcohol-involved crashes (689) that year, which accumulated to 33.2%. Also in 2016, Doña Ana County ranked third for the number of alcohol-related crashes per 10,000 of the population (with 174), behind the districts of Bernalillo (689) and Sata Fe (179). Additionally, Doña Ana County saw an increase in alcohol-involved fatal crashes, from 5 in 2015 to 7 in 2016 (a 4.7% rise). What Are the Long-Term Impacts of Opiate Abuse? Several damaging effects opiate addiction may lead to, includes: a poor immune system, a spectrum of gastric problems (for example, bowel perforation and intestinal ileus), medical issues ranging from moderate (e.g. localized abscesses) to severe (e.g. blood borne illnesses), and extreme respiratory damage (e.g. lung damage). What is the difference between binge-drinking and heavy drinking? According to the National Institute on Alcohol and Alcoholism, binge-drinking is defined as reaching a blood alcohol concentration (BAC) of 0.08 grams percent or above. For women this means consuming 4 or more drinks within 2 hours, and for men it means 5 or more drinks within that time. Comparatively, NIAAA defines heavy alcohol use as “binge drinking on 5 or more days in the past month”. Alcoholism or alcohol addiction, occurs when an individual constantly craves alcohol and is unable to stop regardless of the severe damage it’s creating. Common signs include: routinely drinking more than intended, wanting to stop but cannot, steadily increased tolerance level, severe withdrawal symptoms experienced when sobering up, loss of relationships and disregard to responsibilities, and obsessively planning around obtaining alcohol for that day. Detox— the initial step in the recovery process; detoxing takes around five to ten days to fully rid of toxins. For those needing extra help withdrawing off a drug, medical supervision may be advisable, as withdrawal symptoms may be too painful to bear. Luckily, many rehab centers offer secure supervision. Assessment—this step should occur directly after detoxing; a staff member will use criterium to ask the patient a series of relevant questions. Intake— the period where the newly admitted patient meets more staff and group members (such as, a doctor, another psychologist, group lecturers, and group members). Aftercare—this step occurs after graduating the program; in most cases, the rehab will ask that the individual to check in from time to time to report on independent progress or any slip-ups/struggles. Sober living—the end result after completing the program; the individual will continue living a healthy, drug-free lifestyle. Here’s a suggestion to maintain sobriety after graduating a rehab program: Finding a sense of community and belonging is essential in carrying out an independent and successful life after recovering from drug addiction. Recovery groups like Alcoholics Anonymous (AA), SMART Recovery, or Narcotics Anonymous (NA), offers a sense of identify, compassion, and similarities shared among group members. By communicating and sharing stories with other members, there’s a sense of peace in knowing that others understand the struggle and are there to support you. Usually AA and NA groups assists individuals in finding a sponsor, or a person to help intervene when they feel like caving in to their old ways. As the program progresses, the individual may also sponsor someone else just beginning the program— many members find this advantageous and rewarding. If a local area does not offer or hold these groups, it only takes two people to start a group; there are multiple books with the 12-steps outline that explains how to step-up and hold meetings. The classic book is by Bill Williams, called the Twelve Steps and Twelve Traditions. What Are the Twelve Steps of Recovery? Now you may be wondering, why twelve steps? What are these steps? Do I need to do all of them, or is it pick and choose? Based off Williams’ book, these steps are meant to be read and followed in order, however there’s no wrong way to approach the process. Many find that it’s helpful to revisit past chapters and to re-fresh themselves with the material. Although the AA meetings require that at least two people attend and follow these steps, it’s totally acceptable (in fact its even recommended) that each individual reads this book on his or her own time as well. What About the Twelve Traditions? Basically, the twelve traditions work as a guideline and mutual agreement among group members that should not be altered. Whereas the twelve steps focuses on the individual’s recovery, the twelve traditions addresses the whole group at the meeting(s). 1.Our common welfare should come first; personal recovery depends upon AA unity. 3.Himself in our group conscience. Our leaders are but trusted servants; they do not govern. 4.The only requirement for AA membership is a desire to stop drinking. 5.Each group should be autonomous except in matters affecting other groups or AA as a whole. 6.Each group has but one primary purpose–to carry its message to the alcoholic who still suffers. 7.An AA group ought never endorse, finance, or lend the AA name to any related facility or outside enterprise, lest problems of money, property and prestige divert us from our primary purpose. 8.Every AA group ought to be fully self-supporting, declining outside contributions. 9.AA, as such, ought never be organized; but we may create service boards or committees directly responsible to those they serve. 10.Alcoholics Anonymous has no opinion on outside issues; hence the AA name ought never be drawn into public controversy. 11.Our public relations policy is based on attraction rather than promotion; we need always maintain personal anonymity at the level of press, radio and films.